The full-blown economic collapse that is happening in Venezuela right now is a preview of what Americans will be experiencing in the not too distant future. Just a few years ago, most Venezuelans could never have imagined that food shortages would become so severe that people would literally hunt dogs and cats for food. But as you will see below, this is now taking place. Sadly, this is what the endgame of socialism looks like. When an all-powerful government is elevated far above all other institutions in society and radical leftists are given the keys to the kingdom, this is the result. Food shortages, looting and rampant violent crime have all become part of daily life in Venezuela, and we all need to watch as this unfolds very carefully, because similar scenarios will soon be playing out all over the planet. The funny thing is that Venezuela actually has more “wealth” than most countries in the world. According to the CIA, Venezuela actually has more proven oil reserves than anyone else on the globe – including Saudi Arabia. So how did such a wealthy nation find itself plunged into full-blown economic collapse so rapidly, and could a similar thing happen to us? The president of Venezuela has declared a 60 day state of emergency in a desperate attempt to restore order, but most people don’t anticipate that it will do much good. Social order continues to unravel as the economy systematically implodes. The Venezuelan economy shrunk by 5.7 percent last year, and it is being projected that it will contract by another 8 percent in 2016. Meanwhile, inflation is raging wildly out of control. According to the IMF, the official inflation rate in Venezuela will be somewhere around 720 percent this year and 2,200 percent next year. If people are able to get their hands on some money, they immediately rush out to the stores to use it before the prices go up again. This has created devastating shortages of food, basic supplies and medicine. Electricity is also in short supply, and a two day workweek has been imposed on many government employees in a desperate attempt to save power. Violent crime is seemingly everywhere, and most law-abiding Venezuelans lock themselves in their homes at night as a result. Crowds of people in Venezuela have stolen flour, chicken and even underwear this week as looting increases across the country in the wake of shortages of many basic products. Many people have adopted the habit of getting up in the dead of night to spend hours in long lines in front of supermarkets. But as more end up empty-handed and black market prices soar, plundering is rising in Venezuela, an Opec nation that was already one of the world’s most violent countries. There is no official data, but the Venezuelan Observatory for Social Conflict, a rights group, have reported 107 episodes of looting or attempted looting in the first quarter of 2016. Videos of crowds breaking into shops, swarming on to trucks or fighting over products frequently make the rounds on social media, though footage is often hard to confirm. “They took milk, pasta, flour, oil, and milk powder. 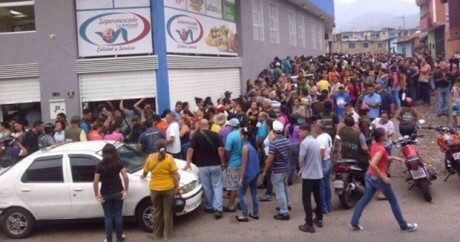 There were 5,000 people,”one witness told Venezuela outlet El Estímulo. People from across the entire state came to the supermarket because there were rumors that some products not found anywhere else would be sold there. “There were 250 people for each National Guard officer… lots of people and few soldiers. At least one officer was beat up because he tried to stop the crowd,” another source told El Estímulo. It is important to remember that this was not an isolated incident. As people have become hungrier and hungrier, there have been reports of looting at “pharmacies, shopping malls, supermarkets, and food delivery trucks“. During some of these episodes there have actually been people chanting “we are hungry”. Other Venezuelans have resorted to digging in dumpsters and trash cans for food. This many seem detestable to many Americans, but when you are desperately hungry you may be surprised at what you are willing to do. Ramón Muchacho, Mayor of Chacao in Caracas, said the streets of the capital of Venezuela are filled with people killing animals for food. Through Twitter, Muchacho reported that in Venezuela, it is a “painful reality” that people “hunt cats, dogs and pigeons” to ease their hunger. You may be tempted to dismiss these people as “barbarians”, but someday Americans will be doing the exact same thing. By morning, three newborns were already dead. The day had begun with the usual hazards: chronic shortages of antibiotics, intravenous solutions, even food. Then a blackout swept over the city, shutting down the respirators in the maternity ward. Doctors kept ailing infants alive by pumping air into their lungs by hand for hours. By nightfall, four more newborns had died. So once again I ask – how did such a thing happen to such a wealthy nation? The real culprit is chavismo, the ruling philosophy named for Chavez and carried forward by Maduro, and its truly breathtaking propensity for mismanagement (the government plowed state money arbitrarily into foolish investments); institutional destruction (as Chavez and then Maduro became more authoritarian and crippled the country’s democratic institutions); nonsense policy-making (like price and currency controls); and plain thievery (as corruption has proliferated among unaccountable officials and their friends and families). Are not the same things happening here? The U.S. government is mismanaging our money too. During Barack Obama’s eight years in the White House, the U.S. national debt has risen by more than eight trillion dollars. We waste money in some of the most bizarre ways imaginable, and at this point our national debt is nearly the double the size it was just prior to the last major financial crisis. Institutional destruction is also a legacy of the Obama regime. With each passing day, our society resembles the Republic that our founders originally intended less and less, and it resembles socialist dictatorships more and more. We may as well not even have a Constitution anymore, because at this point nobody really follows it. The third thing that Business Insider mentioned, “nonsense policy-making”, is a perfect description of what has been going on in Washington D.C. these days. Perhaps that is why Congress only has a 12.8 percent approval rating right now. Lastly, thievery and corruption are also out of control in our nation too. The elite and special interest groups spend massive amounts of money to get their favorites into office, and in turn those politicians shower their good friends with money and favors. It is a very sick relationship, but that is how our system now works. We are sitting on the largest mountain of debt in the history of the planet, and our debt-fueled prosperity is completely dependent on the rest of the world lending us gigantic amounts of money at ridiculously low interest rates and continuing to use our increasingly shaky currency which we are debasing at a staggering pace. We consume far more than we produce, and unlike Venezuela we aren’t sitting on hundreds of billions of barrels of oil. The amount of “real wealth” that we actually have does not justify our current standard of living. The only way that we are able to live the way that we do is by stealing consumption from the future. One study has found that our debt level is the highest that it has been since the Great Depression of the 1930s, and yet we continue to race down this road to economic oblivion without even thinking twice about it. What you sow is what you will reap. And just like Venezuela, America will ultimately reap a very bitter harvest. 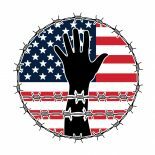 This entry was posted on May 18, 2016 by conspiracyanalyst in Economic Collapse, Economic Warfare, International News, Latin America, Societal Collapse, Society and tagged economic collapse, Venezuela.